Are you looking for the perfect way to spend your Easter weekend? Or perhaps you’re trying to find some fun and exciting activities to keep the children entertained during the Easter holidays? Well low and behold, the beautiful historical city of Bath has humour, horse racing, history and hopefully some sunshine. Bath has been voted the UK’s number one ‘feel good city’. There’s no questioning it, Bath truly is a wonderful place to be during the springtime and its definitely not short of things to do for both children, big children and adults. Bath Racecourse will host the first bank holiday races of 2017. Enjoy a great day of racing, combined with plenty of free children’s entertainment, as well as live music to make your Good Friday one to remember. Children’s entertainment ranges from inflatables, a petting zoo, face painting, pony rides, Easter arts and crafts, circus skills, and egg hunts. There will be also be live music and great food and drink for the adults to enjoy. Bath are hosting their 9th annual comedy festival, starting from 1st April until 17th April. There will be over 180 performers and most certainly a giggle or more for everyone in attendance. There will be kids comedy, where Jimmy Mc’s Family Mad House will have children crying with laughter; includes silly games, pointless prizes, daft dressing up and much more comedy gold for the kids. Don’t worry adults – there’s something for you too. The opening night will include a performance by Paul Merton. You can embark on comedy walk with ‘Bizzare Bath’ who will take you on a hilarious historical tour of Bath; expect mysteries, thrill and silly surprises. Bath is well-known for its stunning Georgian architecture. Some of Bath’s most renowned sites include Bath Abbey, The Roman Baths, Jane Austin Museum and that’s just the tip of the cathedral. At Bath Abbey this Easter, children can learn about the Easter story through interactive experiences whilst the adults can delve into the rich history of Bath’s magnificent Abbey. Book tickets here – just £2.50! A ‘must’ is to visit one of Bath’s most iconic landmarks, the Royal Crescent. The Royal Crescent is arranged around a large lawn area, overlooking the Royal Victoria Park and rightly so, if the weather is on your side it’s the perfect location for a picnic in the sun. The Parade Gardens is also a haven which is glorious on a warm spring day in the heart of Bath overlooking river. The delightful gardens boast the finest views of Pulteney Bridge and the weir. Deck chairs are available, so you can sit back and relax whilst enjoying some Easter family time and a picnic in the park. Victoria Falls Adventure Golf is an 18 hole adventure golf course located not far from the centre of town. The golf course is suitable for all ages, so it a great activity for the all the family to practice their pitching and putting skills. We hope our Easter guide has given you some inspiration on things to do near Bath. 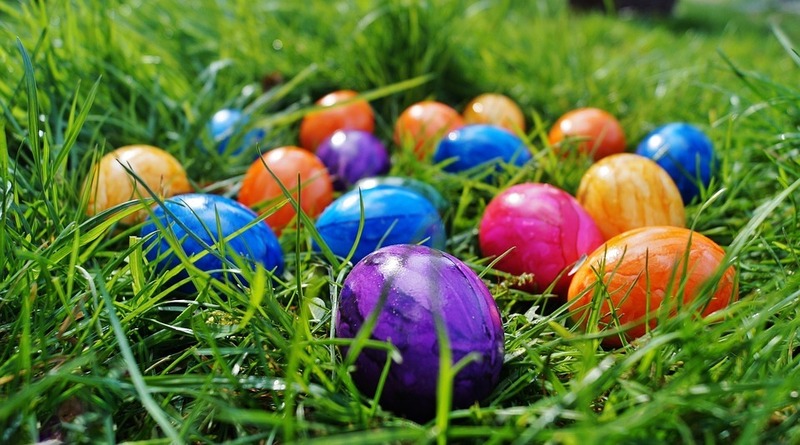 If you want to extend your Easter activities in Bath, then why not consider staying at The Limpley Stoke Hotel. Situated in a countryside village just 4 miles from Bath, our hotel combines quality accommodation with friendly service, giving you a warm, west-country welcome! For great rates book online here or call us on 01225 723333.